The First United Methodist Church at the Chicago Temple is the oldest congregation in Chicago, pre-dating the incorporation of the city by six years, and tracing its origins to 1831, back when Fort Dearborn was an outpost on the United States’ western frontier. The congregation has contributed enormously to Chicago’s spiritual, civic, and cultural development, and has been described as “a microcosm of the history of Chicago and of the nation itself.” Celebrated as one of Chicago’s most diverse congregations, members hail from every ZIP Code in the city as well as 80 suburbs. The congregation’s rich ethnic, racial and economic diversity renders it an ideal partner for Silk Road Rising. The Historic Chicago Temple Building was designed by the renowned architectural firm of Holabird & Roche. Completed in 1924, the building has long been heralded for its architectural beauty and magnificent spire. Built of gray and white Bedford stone and mixing the grace of a French Gothic cathedral with the practicality of an American skyscraper, the Temple became, when first dedicated, the tallest building in Chicago. 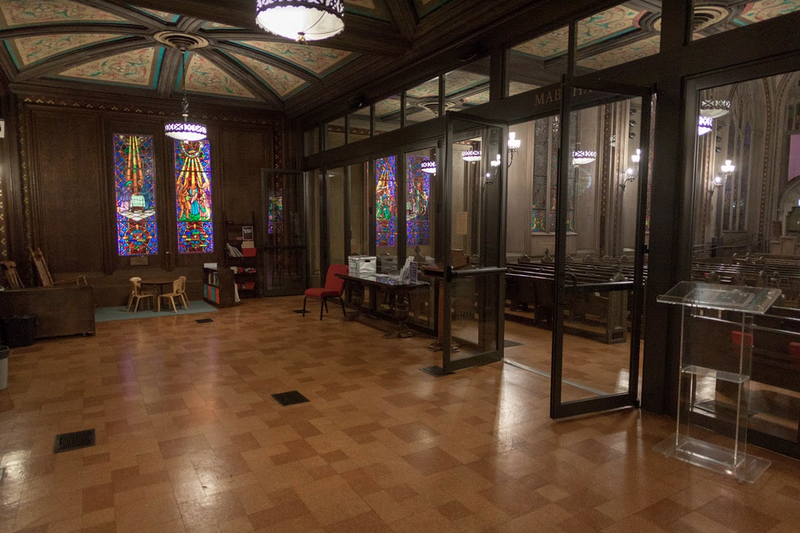 In addition to housing the church, the parsonage, the Chapel in the Sky, commercial space, and of course, Silk Road Rising, the 27-story Chicago Temple building also houses 17 floors of private offices.